Yay, we’re only a few weeks away from the Season 5 premiere of The Walking Dead. You know what that means – Season 5 spoilers! The show’s fourth season ended on a massive cliffhanger, with Rick Grimes [Andrew Lincoln] and company all locked away in a train car and possible/probable cannibals running Terminus. The showrunners played coy when asked about the cannibal plot point, but recent reports confirmed that we will be seeing the backstory of Terminus in the Season 5 premiere. Plus, we will get confirmation that the citizens of Terminus are cannibals, if not exactly the cannibals that we’re used to. We also know that everyone apart from Beth Greene [Emily Kinney] will be reunited by the end of the Season 5 premiere, which means that Rick and Carl Grimes [Chandler Riggs] will finally get united with Judith, and Sasha will realize that her brother, Tyreese, is still alive! The plot points of this little reunion are a little sketchy, but we know that Carol mounts a rescue of the group while Tyreese stays back with Judith. Is it just me, or has Tyreese’s main role been reduced to babysitter? Now, good news for people on death watch – nobody in Rick’s group dies in the Season 5 premiere. However, that doesn’t mean there are no deaths at all – this is the Walking Dead, after all. The character of ‘Sam’ will meet his end in the Season 5 premiere, but perhaps the more pertinent news is that we will meet Negan in Season 5. Uh-oh. Fans of the comic-book familiar with Negan’s story will know what’s coming, but needless to say, expect a lot of death, mayhem, and heartbreak if the show follows the comics closely. Now, Negan’s appearance hasn’t been confirmed by the showrunners, but Kevin Durand [from The Strain] confirmed that he’d been approached to play the part, and there were also recent reports about Negan’s appearance with his infamous bat being teased in Season 5. What do you guys think about all The Walking Dead spoilers? The Season 5 premiere of The Walking Dead premieres on AMC on Sunday, October 12th. The Walking Dead Season 5 Spoilers: Major Character Deaths Creator Robert Kirkman Leaks! The Walking Dead Season 5 Spoilers – Which Couple Will Be The New Romance? 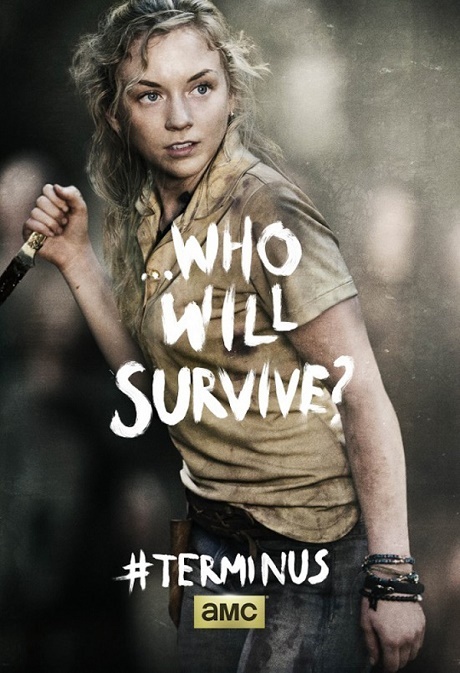 The Walking Dead Season 5 Premiere Spoilers: Who Dies – Kill Off Anyone?